Reading this book series has been a blessing. 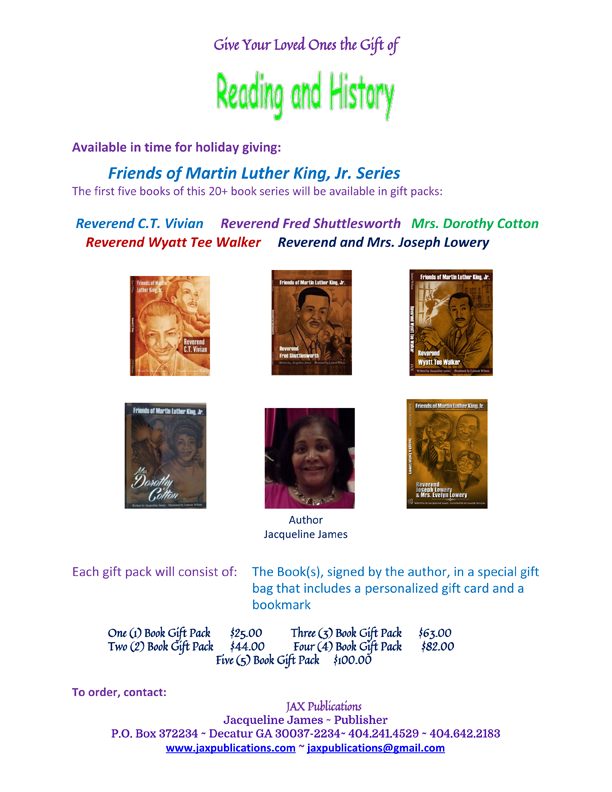 Jacqueline James has conducted research and interviewed 100's of individuals in order to give students, teachers and parents an inspirational summary of the roles Dr. Martin Luther King Jr.'s friends played in his rise to prominence. As an educator and activist, I found myself buried in each book and could not put them down.